Indulge in more than 20 family-friendly weekend events, and explore up to 650 homes at communities across the city at The April Drools! Houston’s Largest Home Tour throughout April 2018. Houston’s Largest Home Tour is taking flight, promising an April filled with well-appointed homes, jam-packed events, and weeks of family fun. Harvest Green in Richmond – A 1,300-acre farm-centric community, Harvest Green offers residents a true farm-to-table experience. The public can experience life in Harvest Green during a Street Eats food truck event on Saturday, April 14 followed by Couture for the Cause benefitting the American Cancer Society later that evening. Eleven model homes will be open throughout the month. Click here for more details. Sienna Plantation in Fort Bend County – A 10,000-acre community, is located along Highway 6 in Fort Bend County. Sienna is hosting the Canine Carnival and Doggone Fun Run benefiting Fort Bend Cares on Saturday, April 14. Twenty-three model homes will be open for touring. Click here for more details. Veranda in Fort Bend County – Johnson Development’s newest project is their seventh community in Fort Bend. Eight builders offer a wealth of home designs, with 13 models open for touring. The public can dance to popular tribute bands playing homage to Jimmy Buffet, Toby Keith, Kenny Chesney, Santana and Journey during Veranda Vibes on Saturday, April 14. Click here for more details. Times: Homes are available for touring Mondays through Saturday 10am to 6pm; Sundays noon to 6pm. Click here for details and specifics. Locations: Multiple Johnson Development communities around Greater Houston. Click here for a complete list. 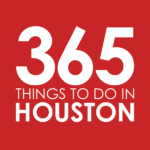 Admission: Home tours are free, most other events associated with Houston’s Largest Home Tour are free as well. Click here for more information.